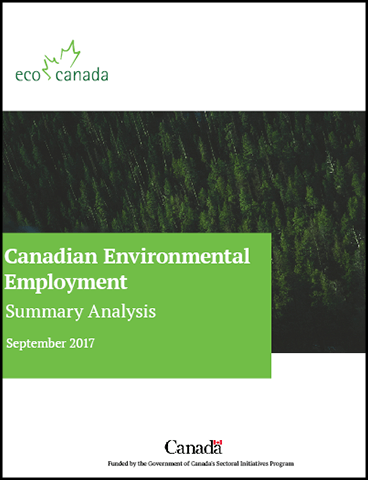 This report aims to provide a picture of environmental employment. Three summarized reports compile preliminary findings on environmental employment from the perspective of Job Posting Analysis, Supply and Demand, and Environmental Goods and Services. Projections. 100,000 additional environmental jobs are expected to be created by 2024. Canadian environmental goods and services sector. In 2015, an estimated 44,800 companies had sales of over US$132 billion. These firms employed approximately 807,350 workers.